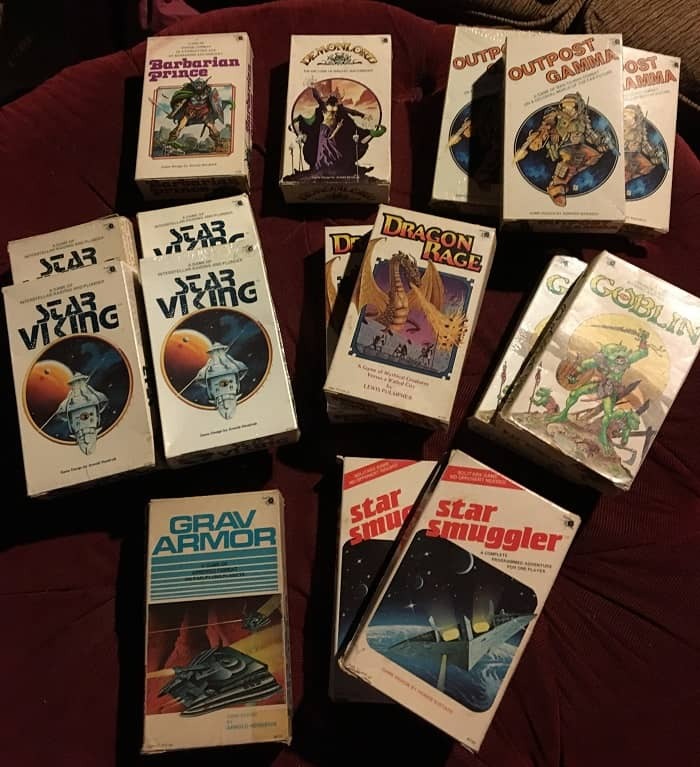 A complete set of Dwarfstar games. Probably worth more than my house. I enjoyed Sean McLachlan’s Black Gate post last month, Wargaming with my Twelve-Year-Old. Sean and his son played Outpost Gamma, a 1981 science fiction board game of man-to-man combat on a distant colony world. 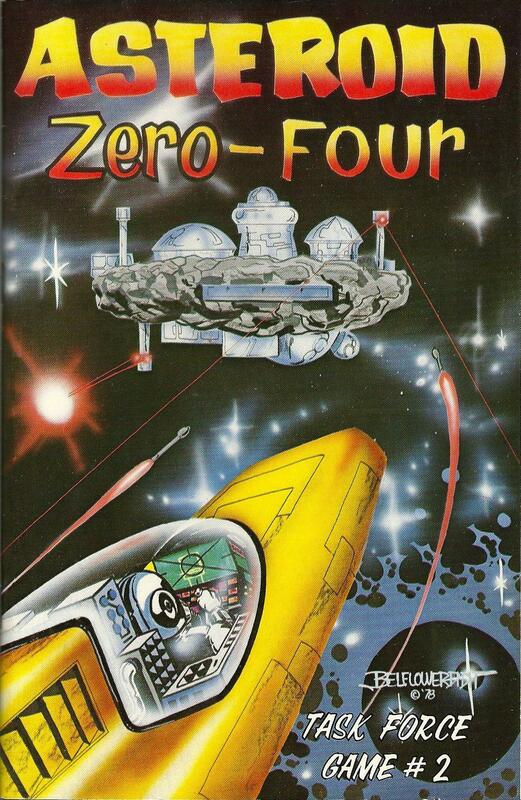 You don’t see a lot of coverage of early-80s science fiction microgames these days, so I appreciated being able to share the fun. Outpost Gamma was published by Heritage Models in 1981, under their celebrated Dwarfstar imprint. 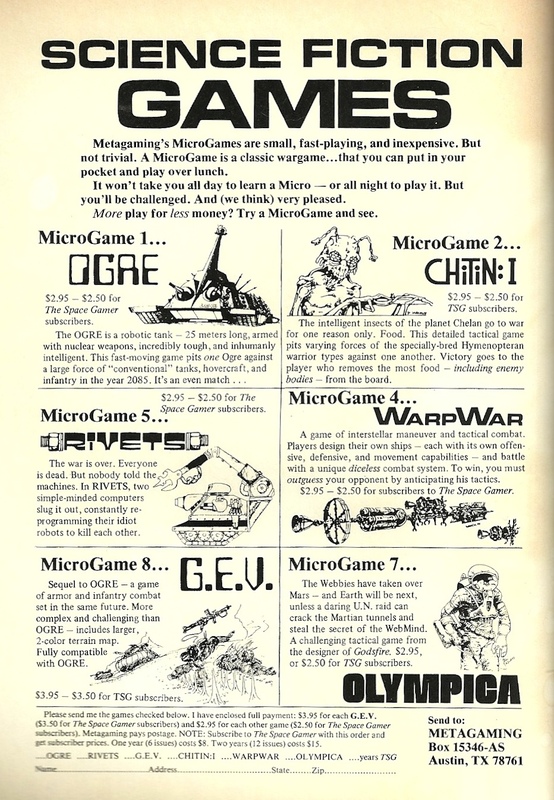 Dwarfstar, like Metagaming, Steve Jackson, and Task Force Games, produced a rich catalog of microgames aimed at younger players. Well, budget-conscious players anyway. Metagaming, who pioneered the concept of the microgame with their first release, Steve Jackson’s runaway hit Ogre, charged $2.95 for a two-color game in a small baggie. Dwarfstar did away with the baggie and upgraded to a slim box, added full color, and charged a lordly $3.95. As a business, the Dwarfstar line wasn’t a success. Unlike Metagaming and Task Force, who released dozens of titles over the years, they produced only eight games between 1981-82. But from a creative perspective, they were a magnificent hit. Their titles included Arnold Hendrick’s classic Demonlord, simulating the desperate struggle against the Demon Empire, Lewis Pulsipher’s Dragon Rage, a game of giant monsters attacking a walled medieval city, Dennis Sustare’s Star Smuggler, a marvelous solitaire programmed adventure following the adventures of a star trader on the frontier, and the peak achievement of Western Civilization, Arnold Hendrick’s Barbarian Prince, a solitaire game of heroic action in a forgotten age of sorcery. Superbly well-designed as they were, Dwarfstar games had one great weakness: they weren’t built to last. Paper-thin boxes and flimsy components helped keep the cost down, but did nothing for their longevity. More than 35 years later these eight games have a nearly mythical reputation among collectors, but there aren’t a lot of copies to be had. And you know what that means: the scarce copies still in good condition are very, very expensive. I’ve been hankering for some old school pen and paper adventuring lately, but not having a gaming group here in Madrid (or indeed any gaming group for a few decades now), I did what old school gamers always used to do when they found themselves all on their lonesome — I played some solo Tunnels & Trolls adventures. But I did it with a modern twist. 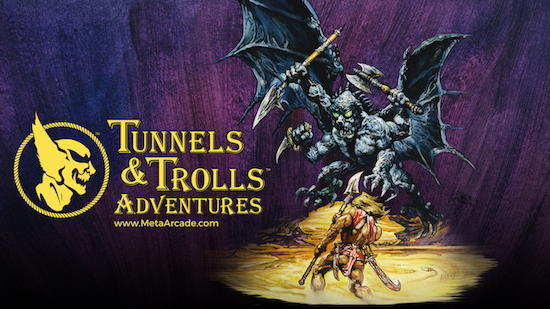 I played Tunnels & Trolls Adventures, a free app by MetaArcade. 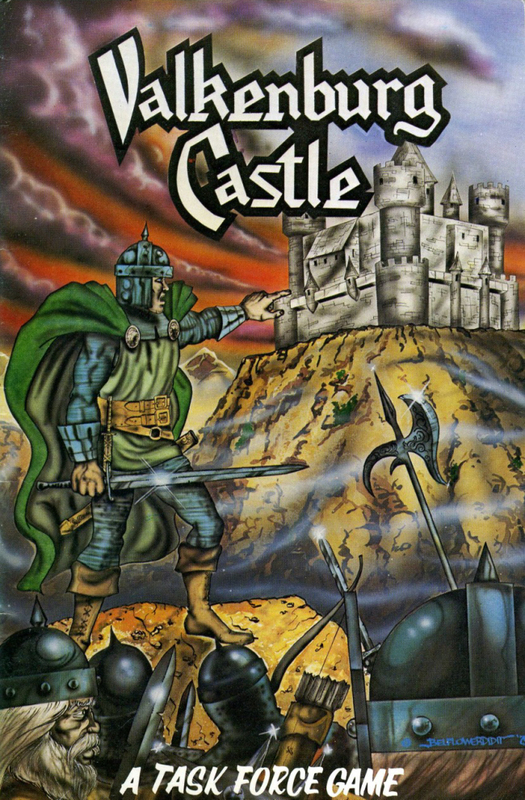 The app takes you through various classic adventures such as Sewers of Oblivion and Buffalo Castle and runs very smoothly. It’s been decades since I’ve played T&T, so I read all the intro material, which explained the game quickly and concisely and had me playing within minutes. 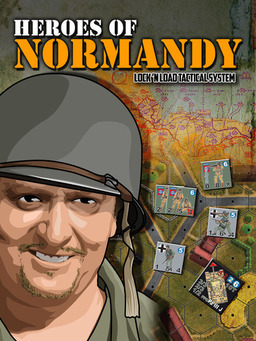 Lock ‘n Load Tactical: Heroes of Normandy was one of my favorite purchases last year. I loved it so much that I made sure it was something I played on my birthday (my son enjoyed it too). Lock ‘n Load Tactical is a revision and representation of Mark Walker’s excellent Lock ‘n Load system. 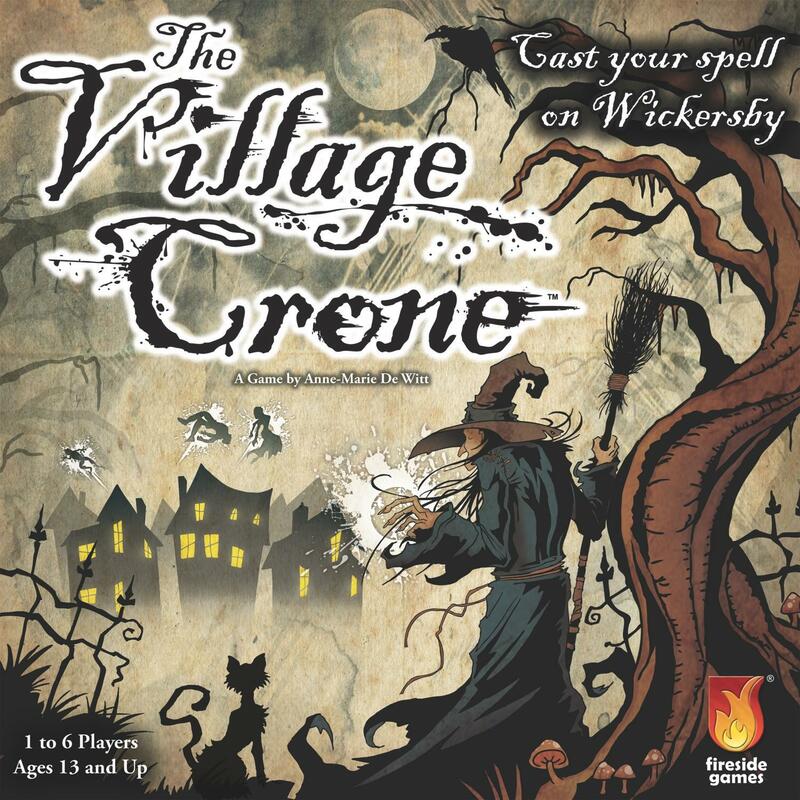 The new publisher has clarified, re-organized, and revised the rules, printed them in full color with additional examples, and eliminated the need for purchases of unrelated games to play certain settings. For example, you might once have needed to own several modules before you could play some of the Lock ‘n Load World War II games. That’s no longer necessary — Lock n’ Load Tactical: Heroes of Normandy is complete unto itself. More and more I think John O’Neill is right — we’re in a golden age of boardgames. And not just the familiar sort where it takes a room full of friends to play, but solitaire wargames, such as those produced by Victory Point Games, White Dog Games, and Dan Verssen Games, or DVG. Given the dearth of nearby board gamers, it was these solitaire games that most interested me, and I’ve played and reviewed a number over the years. Eventually I began to loiter on the periphery of some boardgame sites, most regularly Board Game Geek, where I noticed that there were some great game tweaks to DVG’s U-Boat Leader game by a fellow named Dean Brown. We struck up a friendship, and when I saw he was developing his own game for DVG, I signed on as a playtester. 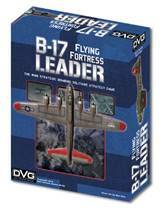 I wasn’t actually that curious about B-17 bombers, or airplanes in general, but it didn’t matter: the game’s turned out to be a blast. Tuesday it launched as a Kickstarter, so I sat down yesterday and talked with Dean a little about it and his history with gaming. I’m something of a collector (this may not come as a surprise). I collect vintage paperbacks, pulps, science fiction digests, comics, and lots of other paper ephemera. But chiefly what I collect is games. Goodness, I have a lot of games. I hoard them in the basement. I drive to games auctions (like the marvelous Games Plus auction in Mount Prospect, IL), I track down obscure Amiga games on eBay, and I compulsively hunt every solitaire role playing game ever made. I’m almost given up buying modern fantasy board games, though. Not that they’re not any good — far from it! — but even an obsessive like me has his limits. We’re living in a Golden Age of Board Games, and it’s a huge challenge keeping tabs on even a fraction of all the interesting games being released every month. You know what I can do, though? I can try some of the games Amazon.com has deeply discounted every month. I’m not sure what the story is with these games — were they discontinued? Replaced with a newer edition? Did they flop? — but hey, I don’t actually care all that much. They’re super cheap, they look cool, and I’m ready to buy. Take my money. I’ve been buying 1-2 every week for the past month or so, and some of them look pretty darn good. 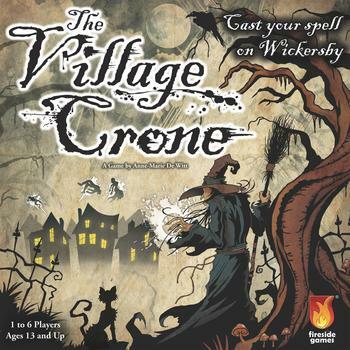 Like Fireside Games’ The Village Crone, an accessible Euro-style game with modular boards in which 1-6 players harvest spell ingredients, give their familiars secret tasks, casts spells, turn villagers into frogs, and compete for the power and authority that comes with being named Village crone. 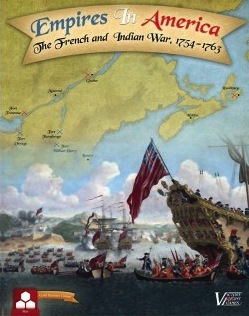 The second edition of a solitaire board game about the French and Indian War sits only a few feet away from me, and it’s all I can do to keep writing this review. I’d much rather be finishing the game, the seventh I’ve played this week since I received it Monday. You see, Wolfe is marching on Ticonderoga and Monro is heading for a fort I built in the Green Mountains. I’ve whittled both of their armies down, though, so the biggest threat is General Anherst, aided by the Royal Navy as he advances along the St. Lawrence Seaway. I love this game. Maybe that shouldn’t be a surprise, seeing as how I really enjoyed the original edition. I wrote about Empires in America in some detail back in 2012 right here at Black Gate. Since then, the manufacturer Victory Point Games has made a number of production advances. (You may have seen my excited post about the quality of Nemo’s War in January.) Cards are made from professional card stock, and the counters — wow, the counters may be cardboard, but they were cut with a laser, and with their brown finish they look and even feel a little like they’re wooden. The Kickstarter for the second edition was launched several weeks ago and now only THREE days remain to join the voyage and pledge for a copy of the game yourself. All stretch goals have already been met (and quickly!). The first version was a grand adventure where players took on the role of the famous Captain Nemo from 20,000 Leagues Under the Sea and explored the seas of Earth while trying to stay clear of imperial powers. Well, actually, there are four separate ways to play the game, and not all of them involve staying clear of those powers… You can play as an explorer, a scientist, an anti-imperialist (voyaging around the world and inciting revolutions to lend support to captive peoples) or as a warrior. What goal you choose results in different ways to tabulate your final scores as the days wind down. 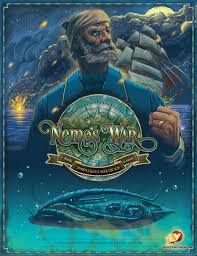 For instance, scientist Nemo doesn’t get nearly as many points for blowing up ships as warrior Nemo. 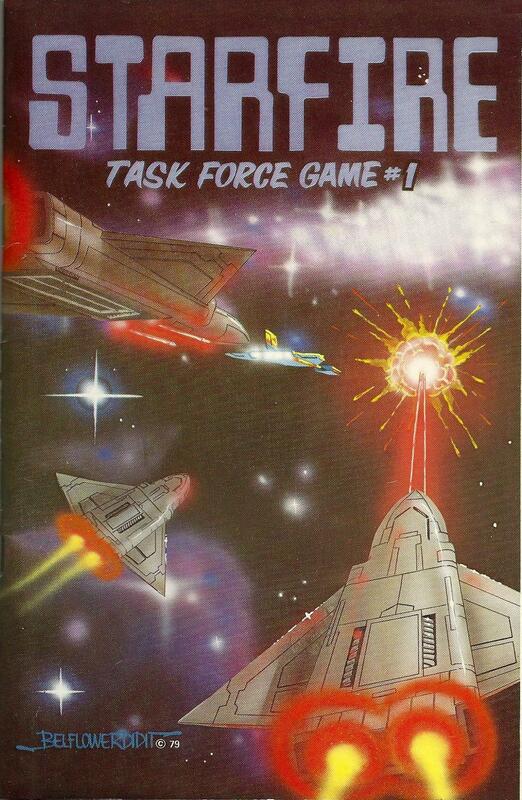 Task Force Games, based in Amarillo, Texas, was one of the very best board game companies in the business in the 80s, especially for science fiction fans. They published the majestic Federation & Empire (and its follow-up, Federation Commander), Kings Bounty, Godsfire, Battlewagon, Armor at Kursk, Musketeers, and the RPGs Crime Fighter, Prime Directive (based on Star Trek), and the glorious Heroes of Olympus — among many, many others — before the company was sold to Might & Magic developer New World Computing in 1988, and then went out of business. Of course, who could afford big games like that? Not me, that’s for sure. But that’s okay, because Task Force Games was also a pioneer in the microgame market, with a line of truly stellar Pocket Games, starting with Starfire in 1979. Starfire was one of the most successful microgames ever released. It sold a zillion copies, went through six different editions, and is still being sold today by Starfire Design Studio. 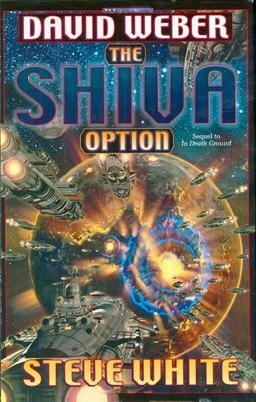 It was so popular it eventually inspired a series of novels by David Weber and Steve White, including the New York Times bestseller The Shiva Option. Starfire wasn’t even the most popular Task Force pocket game. That honor belongs to the ubiquitous Star Fleet Battles. Everybody owned a copy of Star Fleet Battles in the 80s. I think it was required by law. I’d tell you how many editions of Star Fleet Battles exist, but no one truly knows. Academics around the world have gone insane, just trying to figure out how many editions of Star Fleet Battles there are. It’s like writiing your Ph.D. thesis on the Necronomicon. Anyway, Task Force Games had a huge hit with their Pocket games line. Shipped in zip locks bags (eventually shrinkwrap), and priced at $3.95, the games were designed to be easy to learn and quick to play. All told they released twenty-two, all but three with science fiction or fantasy themes, including many that are still highly regarded today. The most successful, like Starfire, Star Fleet Battles, Armor at Kursk, and Swordquest, eventually graduated to full-fledged boxed editions, but the zip-lock versions were fully playable (and a lot more portable). I’ve been writing a lot about board gaming recently. It’s been a big part of my life ever since the late 70s, when I responded to an ad for a line of new “microgames” from a company called Metagaming. I saw the above ad on the inside cover of Analog magazine, which I started reading with the April 1997 issue, when I was 12 years old. Responding to ads in comics and magazines was something you did in the 70s; don’t look at me like that. Honestly, it was perfectly normal. 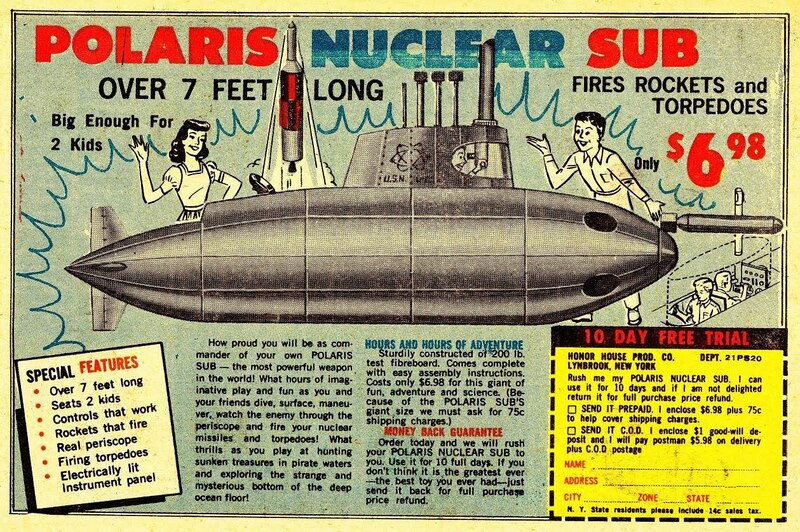 You mailed a check to some address in Texas, and four weeks later a tiny package arrived in the mail containing X-ray glasses, sea monkeys, or a Polaris Nuclear Submarine. Seriously, the US Postal Service and your mother’s checkbook were all you needed to access all the wonders of the world in the 1970s.